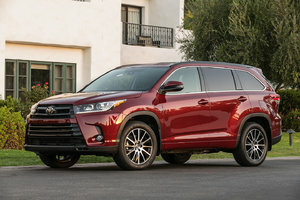 The 2019 Toyota RAV4 was presented at the New York Auto Show earlier this year. It is not available yet but we still have the fiesty and fun 2018 Toyota RAV4 in the showroom ready to go. This SUV has a modern attitude with the comforts and tech to match. It covers utility with performance, with good cargo capacity. 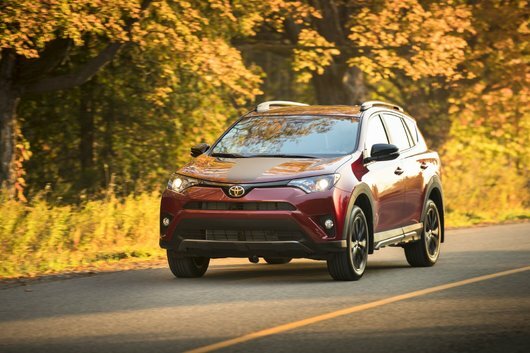 With its sharp angles, sloping headlights, and wide dividing bar across its grille, the RAV4 achieves a distinct look. A windshield wiper de-icer, heated side mirrors, and automatic high beams are standard. Toyota is offering the regular engine with LE, XLE, SE and Limited trims. Hybrids come in LE-Plus, SE, or Limited editions. Toyota's four-cylinder engine keeps your fuel costs low. The city rating is 10 L/100 KM, and the highway rating is 7.8 L/100 KM. Drivers command 176 horsepower. If you want more, the hybrid raises that to 196 horsepower. Gas mileage is remarkable. The city rating rises to 6.9 L/100 KM, and the highway rating is 7.8 L/100 KM highway. For snow days, all-wheel drive is a perfect companion. If you want to go further off-road and find real adventure, there's a new Trail Edition of the RAV4. Driving has become high tech thanks to the standard Toyota Safety Sense features. 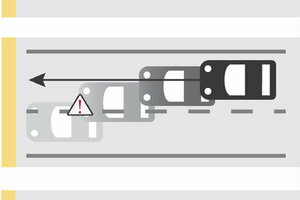 While on the highway, the lane keeper reduces the chances of straying over the lines into the path of another car. A collision warning with pedestrian watch are augmented by an automatic braking function. Adaptive cruise control can reduce your speed without driver intervention. Toyota supplies the RAV4 shopper with all of the basics, and more. On the dash, a full touch screen system entertains you with Bluetooth streaming audio choices. Heated seats take special care of the driver and front seat passenger. Rear heat ducts take care of your passengers in winter. You can also get a heated steering wheel. High quality materials line the seats and surfaces. A premium cloth upholstery can be exchanged for SofTex, Toyota's premium leatherette. In every edition, an acoustic windshield and advanced insulation techniques quiet the cabin. Your gear can be stowed in a sub-floor storage compartment or packed into the large cargo hold. It measures 1087L and has convenient cargo hooks. The rear seats fold easily, increasing the space to 2078L. 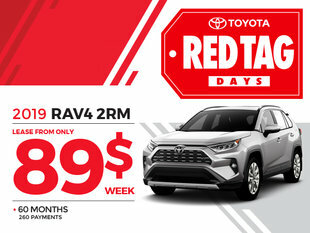 Test Drive the 2018 Toyota RAV4 at Vimont Toyota today.